Is anybody lucky enough to land their dream job in tech right out of college? 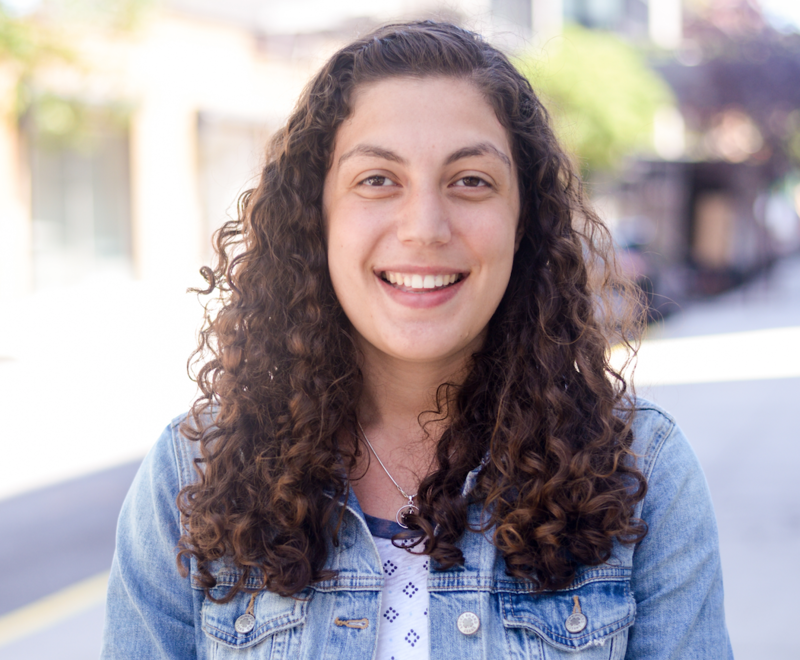 Part five of our Conversations with a Female Engineer series features a chat with Rebecca Sichel, a Video Playback Engineer at Vimeo. I am a software engineer on Vimeo’s Video Playback team which focuses on the video player and the user’s playback experience. This is my first job out of college and during the job search I was looking for a software position working on a product I was excited about where I felt there was a lot of room to learn and grow. Vimeo checked all those boxes for me and more. Yes. I didn’t always know what sector of the tech world or what kind of work explicitly, but I was always excited by the prospect of building things that matter, and I spent my summers in high school and college exploring different avenues of engineering to figure out what that really meant for me. I did research on applied mathematics in baseball, data analysis for an amazing non-profit, spent a summer thinking about autonomous vehicles at General Motors, and worked as a firmware engineer at a large electronics company. Each of these opportunities were invaluable in pointing me towards where I am now and creating an exciting trajectory of future problems to solve. Last June I graduated from Princeton University with a degree in Electrical Engineering. However, I came into college with virtually no previous electrical engineering or computer science knowledge. I wrote my first line of code ever in college during my second semester in my Intro to Computer Science course. Before that course, I was convinced I would study mechanical engineering, but I realized that I thought electrical engineering was the marriage between computer science and a more classic, hands-on form of engineering. I would add that it was really important to me to be at a liberal arts university, I strongly believe that all fields of study inform each other, and I took as many non-STEM classes as I could over the course of my studies with the knowledge that a holistic education would make me a better engineer. It was always obvious to me that diverse representation within a company’s leadership is paramount to its success. However, this was made real to me due to the fact that I have the pleasure of working at a company with an amazing female CEO, Anjali Sud. Seeing Anjali in action around the office, in interviews or at our company quarterly meetings is inspiring. She is smart, mission and vision-driven, engaging, and powerful. I had the pleasure of having a 1-on-1 with her shortly after I joined Vimeo and it was in that meeting that I realized that one day, if I worked toward it, I could be in her seat. I jokingly said to her that I was going after her job and she said she welcomed the challenge. I don’t think that realization would have been as strong or tangible if I wasn’t sitting across from a female CEO. I never had a singular female-working-in-tech-mentor. However, I have an army of personal mentors who I have picked up along the way ranging from my parents, some high school teachers, a college professor and now the VP of Technology at Vimeo. Each of these people affirm me as a person who, as cliché as it sounds, can do whatever I want to do. They answer my questions, offer encouragement when necessary, and challenge me to push myself beyond my comfortable limits. Just do it. The tech world is exciting, fun, and obviously male-dominated. However, that only changes if women actually take the leap to join that world. The men I work with actively seem to care about having women in the room. There can be moments where I am scared to step up, or speak out, but it is in those moments that I realize two things: 1) this is an opportunity for me to break the institutional stereotypes for how a women could or should act and 2) that my presence in the room means that someone else won’t feel this way in the future. Those two things have empowered me, and I believe other women would continue the dialogue in an important way. I believe the problem begins long before women get into the workforce— in high school, for example, when teenagers are beginning to decide what their passions are. Those are the moments where young women feel less confident than their male peers and that is just perpetuated through the years. I am aware of so many initiatives where companies are attempting to attract women, but personally think that companies should be entering high schools and holding empowering events for women, hosting classes, tech lessons, and programs to encourage young women in the more formative years.